29 November 2017 Are you Interested in Joining The Fastest Growing Garage Brand In The UK? 17 October 2017 Fussell Wadman Becomes One of the UK's First Euro Repar Car Service Centres. Fussell Wadman, in Devizes, has become one of the first Euro Repar Car Service Centres to officially open its doors in the UK. Established over 40 years ago, Fussell Wadman is a family-run business and is one of the longest running service and repair centres in Wiltshire. The staff pride themselves in delivering a consistent quality service with a personal touch, and are known for their knowledge and expertise. 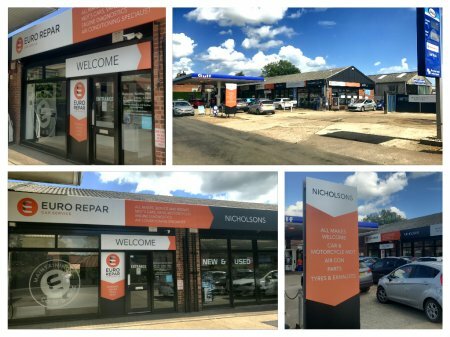 21 September 2017 Top of Town Motors Becomes One of the UK’s First Euro Repar Car Service Centres. Top of Town Motors, in Fishguard, Wales, has become one of the first Euro Repar Car Service Centres to officially open its doors in the UK. Established in 2010, the skilled and experienced mechanics at Top of Town Motors undertake work on all makes and models of vehicle up to and including 3500kg. From yearly class 4 or class 7 MOT tests to everyday services, the garage is equipped to meet all their customers’ needs. 21 September 2017 West Harrow Garage Becomes One of the Uks First Euro Repar Car Service Centres. 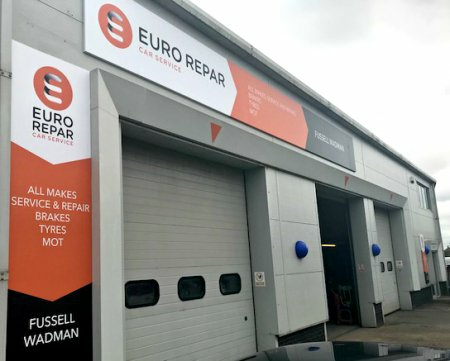 West Harrow Garage, in North West London, has become one of the first Euro Repar Car Service Centres to officially open its doors in the UK. Established in 1998, the staff at West Harrow Garage have over 30 years hands-on experience within the motor industry and have built their success on expertise, honesty, hospitality and friendliness. The garage is equipped to tackle all mechanical repairs and services fast and efficiently. 21 September 2017 Smile Servicing and Repairs Becomes One of the UK’s First Euro Repar Car Service Centres. Smile Servicing and Repairs, in Hilsea, Portsmouth, has become one of the first Euro Repar Car Service Centres to officially open its doors in the UK. With hugely experienced and knowledgeable staff, Smile Servicing and Repairs are a one-stop shop for all their customers’ needs including MOT, repairs, tyres, air conditioning re-gas, and smart paint repairs. They also offer performance upgrades and advanced components for car enthusiasts. 21 September 2017 John Pease Motor Group Becomes One of the UK’s First Euro Repar Car Service Centres. John Pease Motor Group, in Braintree, Essex, has become one of the first Euro Repar Car Service Centres to officially open its doors in the UK. A family-run business for the past 45 years, John Pease Motor Group has been awarded the Gold Lion Dealer status on four occasions during their 17 year-long history with Peugeot. And they remain one of the top dealers across the UK in the customer satisfaction index. Nicholson’s Stalham Engineering, in Stalham, Norwich, has become the first Euro Repar Car Service Centre to officially open its doors in the UK. A family business established back in 1938, Nicholson’s offers a range of car, agricultural and garden machinery services including new and used sales, servicing and repairs, as well as full garage forecourt facilities. 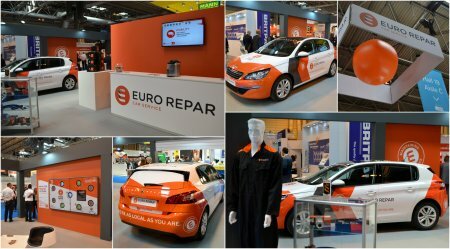 On the 6th - 8th June, Euro Repar Car Service attended Automechanika at the NEC in Birmingham. Automechanika brings together a wide variety of suppliers and franchise opportunities for the independent garage owner, as well as being our launch pad to introduce Euro Repar Car Service to the UK automotive industry. On the 6th-8th June 2017 we will be attending AutoMechanika at the NEC in Birmingham. With a focus on the Automotive aftermarket and supply chain industry, AutoMechanika brings together a wide variety of suppliers and franchise opportunities for the independent garage owner. Euro Repar Car Service will be making its big debut at AutoMechanika on stand 19C50 and looks forward to welcoming over 12,000 visitors across the three days. With our striking tangerine and white stand we won’t be missed! We're proud & excited to announce the launch of Euro Repar Car Service in the UK. Our new Network of professional Service Centres is here to help with all your Car Servicing, MOT & Repair needs, no matter what car you drive.